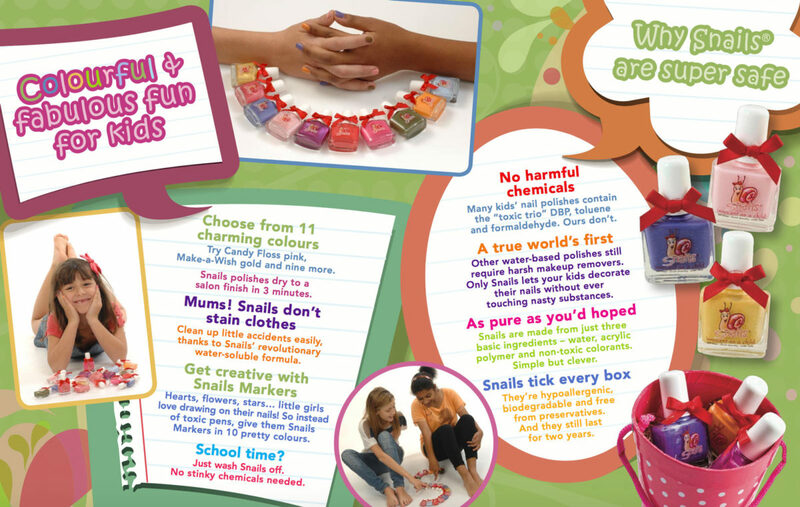 Snails is a range of safe children’s nail polishes made from water, polymers and nothing toxic. It washes off kids’ nails in time for school, or out of clothes and furniture if spilled. It’s a fun brand and we’ve been delighted to support it with brochure copy, website content and email marketing writing.